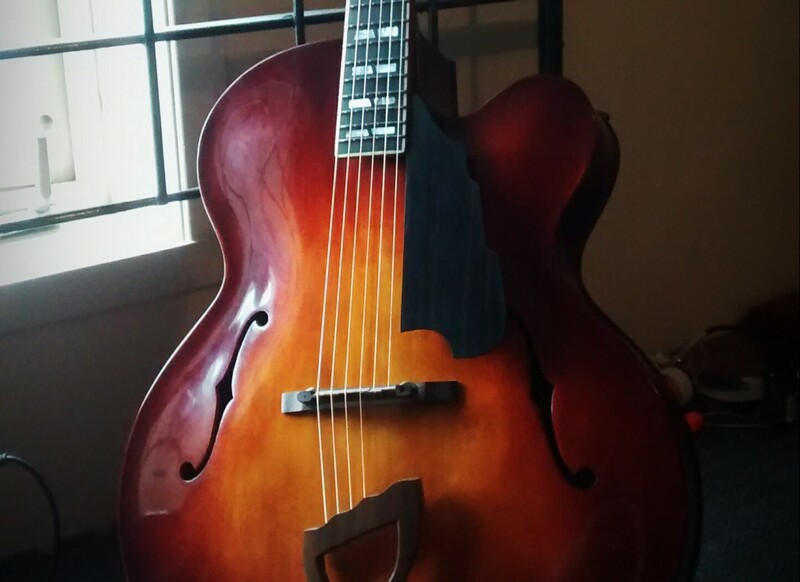 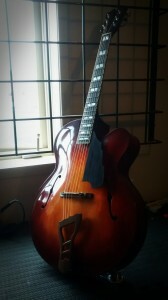 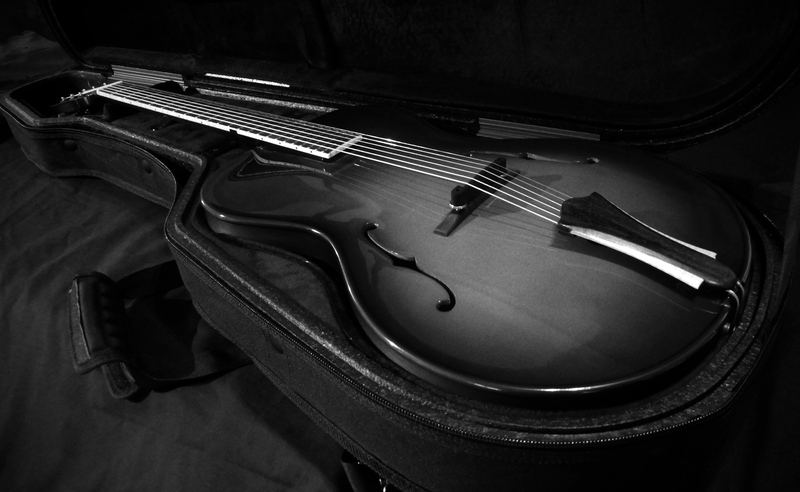 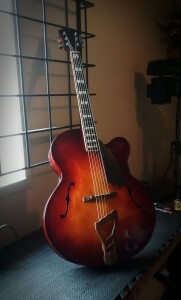 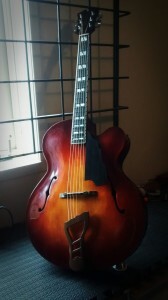 Beautiful Fully Acoustic Archtop with a traditional Italian Red Violin Varnish Burst. 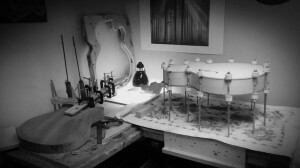 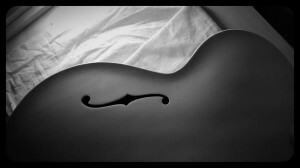 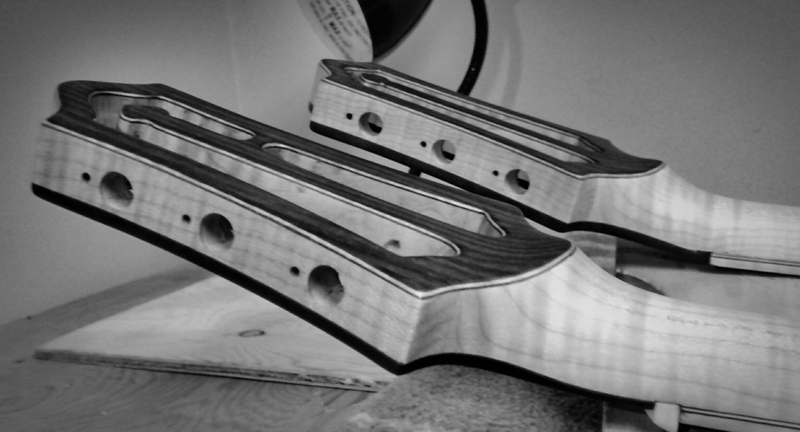 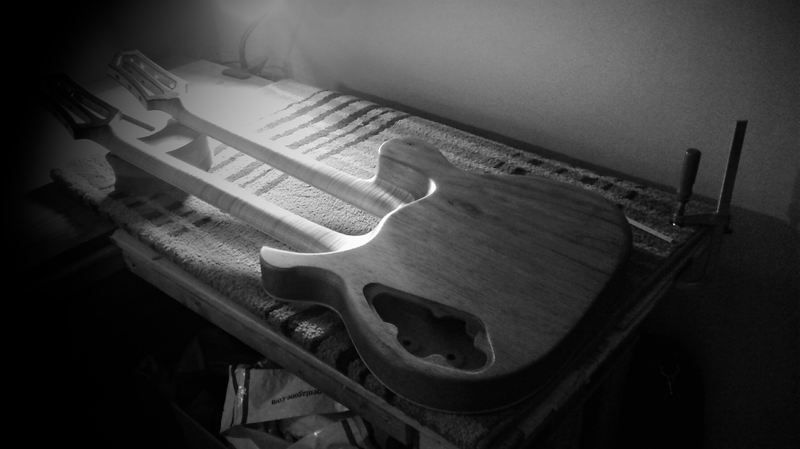 The top and back plates have been graduated like cello plates for better acoustic tuning of the top and back. 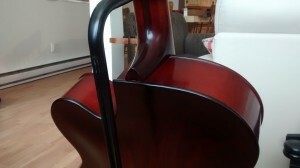 It is also completely assembled like a String Quartet Instrument. 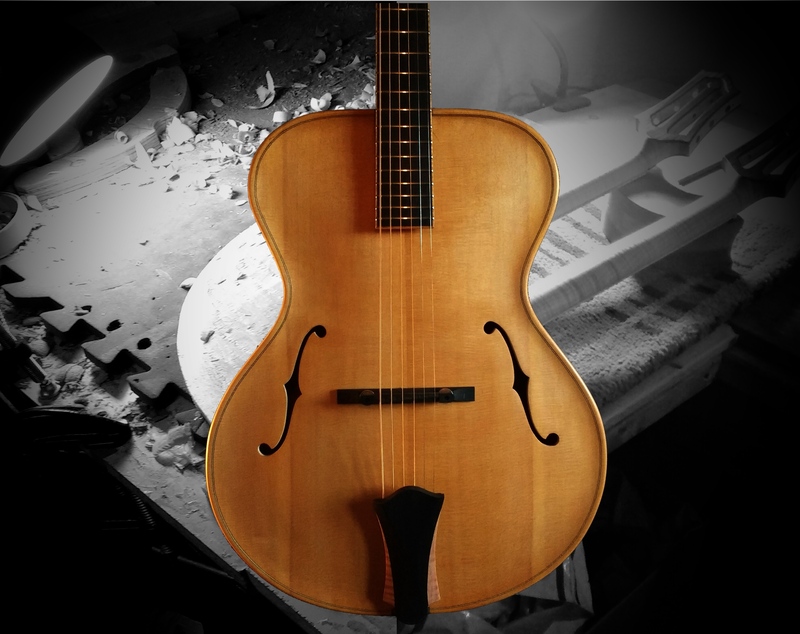 The instrument has violin rounded edges, two carved in top braces to enhance the top response and reduce loosing vibration through glued straight joints. 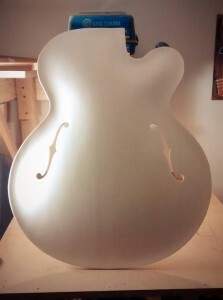 The finish being a Violin Varnish it looks deeper and warmer then a standard Poly or lacquer finish, it is more natural and feels warmer too. 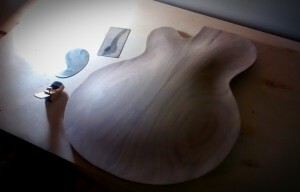 It also let the instrument vibrate better as it is thin and flexible unlike Polymer finishes.